Colman Doyle is a well established brand located in Wexford. They wanted to build awareness and target a new segment of younger customers. 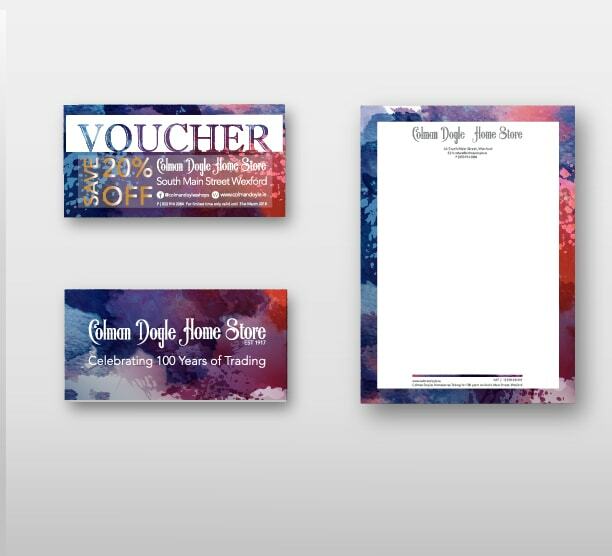 To do this they organised an event to coincide with their 100 years in business and asked us to design all the POS and advertising. 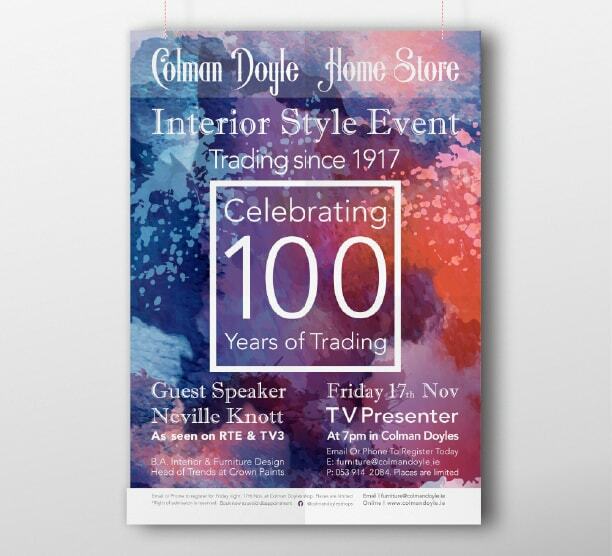 Colman Doyle organised an event with an Interior Designer Speaker at their local furniture store. We created print advertisements and social media posts to promote the event online and in the local newspaper. Designing posters and flyers and distributing them around town. 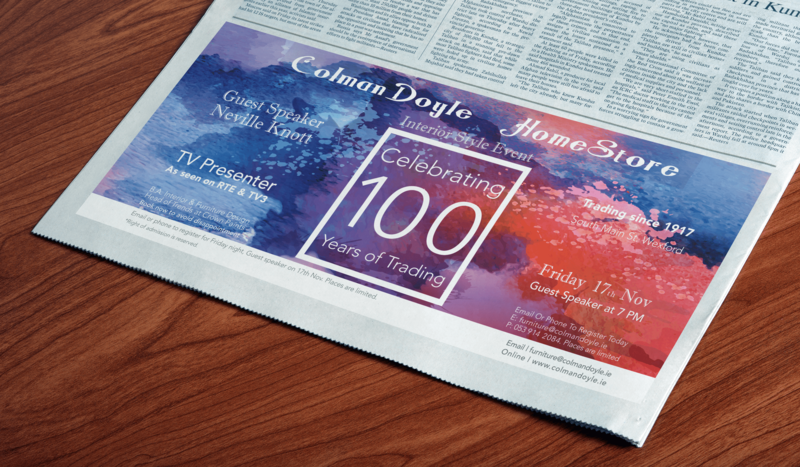 We used a vivid range of colours to attract a younger audience, making the Colman Doyle brand appear young, fresh and modern a very big change from their older style.